and a re-enactment of the 1619 Landing of Capt. Woodlief & his men. Lucas appeared in Homeland Season 7 episode 10 as a White House Correspondent. Episode 10 premiered on Showtime April 15th 2018. For more information about Homeland go to www.sho.com/homeland. For an episode guide and TV schedule, check out TVGuide.com's Homeland page. For a little about the filming of Homeland in Richmond, check out this Richmond Family Magazine article. 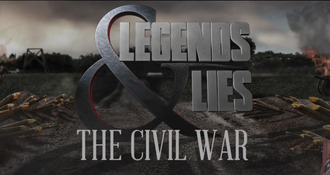 The first episode of Legends & Lies: The Civil War premiered Sunday March 25 at 8pm on Fox! In Legends & Lies season 3: The Civil War, Lucas was featured in the episode that covered First Battle of Bull Run where he portrayed Robert Birchfield in a great scene with Senator Henry Wilson. Richmond Family Magazine (July 2017 issue): "Living History in Church Hill! Richmond Family Magazine interviewed members of the "Liberty or Death" cast. "St. John’s Church Foundation has been presenting historical reenactments of the Convention at its original location since 1976. 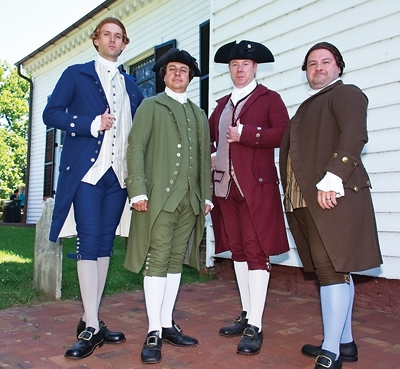 Actors in period attire portray nine delegates, including Patrick Henry, Thomas Jefferson, and George Washington." These days, you’ll see Hall portraying Peyton Randolph, Robert Carter Nicholas, Richard Henry Lee, Benjamin Harrison, Thomas Nelson, and once in a while, Thomas Jefferson. Growing up in Virginia, he has always been interested in history. “Lots of our family vacations were to historical sites in the region,” Hall says. As preparation for his roles, he recently went to Williamsburg to visit Randolph’s house and Nicholas’s pew at Bruton Parrish Church. He also visited Yorktown to see Nelson’s house and Berkeley Plantation to visit Harrison’s house. 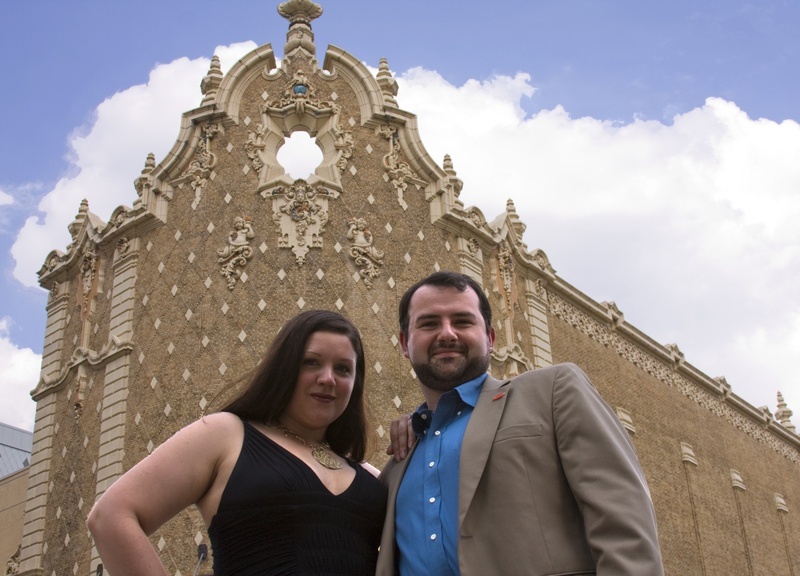 “I also took a special trip to Philadelphia a couple years ago to see Carpenters’ Hall, the site of the First Continental Congress where Randolph was our first president,” he says. “I went to lots of other places in Philadelphia, but what I really wanted to see was Carpenters’ Hall.” "
"At Historic St. John’s Church, the mission is to engage students and adults by placing them in the very setting where our forefathers debated the issues that ultimately led to the founding of the United States. More than 40,000 students and adults from across the country and around the world travel to St. John’s Church annually. Programs include guided tours, reenactments, classroom lessons aligned to Virginia Standards of Learning, free programs for Title I schools, historical exhibitions, and several lectures every year. The gift shop is another highlight for visitors. Check out the RFM calendar (beginning on page 46) for details about the weekly reenactment, or visit historicstjohnschurch.org." The Community Idea Stations and OneVirginia2021 are joining forces to produce a statewide public television documentary, OneVirginia2021: Virginians for Fair Redistricting. This one-hour documentary will bring awareness to the impact of gerrymandering, and explore how Virginia can progress from a system where legislators create their own districts toward a system that makes sense for true representative government. OneVirginia2021: Virginians for Fair Redistricting will examine the historical context and consequences of gerrymandering through a multi-partisan lens that includes Republicans, Democrats, Independents, Libertarians and the Tea Party. The documentary will explore the impact on communities and individual lives by including testimonials from strategists, political consultants, and map drawers, and by incorporating interviews with the men and women in politics who have the most to win - and perhaps lose - through reform. In the fall of 2013, a diverse group of citizens came together to seek reform of the redistricting process in Virginia. From that meeting, a new coalition emerged to end gerrymandering. Now called OneVirginia2021: Virginians for Fair Redistricting, the organization brings together individuals from all over Virginia who believe that state and congressional districts belong to the citizens of this Commonwealth and not to any legislator, political party, or special interest. The coalition focuses on creating a fair process that includes an amendment to the Virginia Constitution establishing an impartial commission – independent of the General Assembly – to draw legislative district lines. The commission would use objective, nonpartisan criteria, invite public participation and be fully transparent. To get this real, lasting change, OneVirginia2021 urges all Virginians to become part of this important effort. OneVirginia2021 is working on additional showings of GerryRIGGED and would love your help! If you’re interested in showing this and having a conversation about redistricting reform, please email them at [email protected]. check out www.onevirginia2021.org/GerryRIGGED/ or more information! 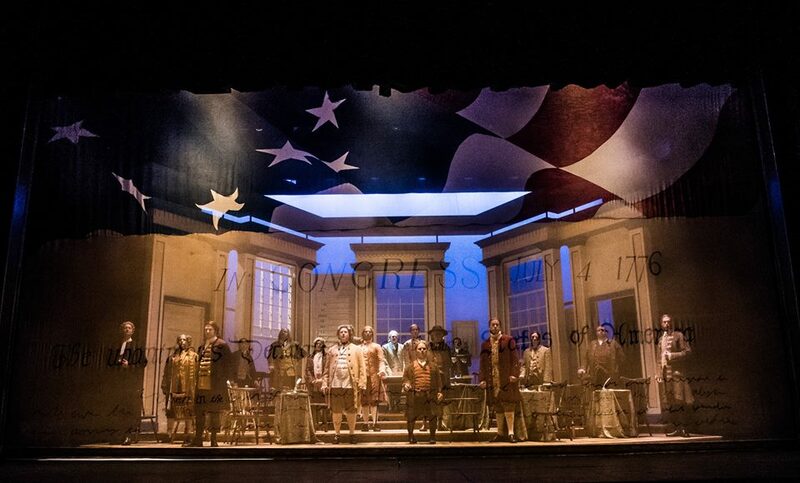 Raucous, witty, and patriotic, this Tony Award-winning musical is a rousing celebration of American history. Led by the fiery and persuasive John Adams (portrayed by Scott Wichmann), the founding fathers incite the divided Continental Congress to vote for independence. The first episode of LEGENDS & LIES: THE PATRIOTS premiered Sunday, June 5th at 8pm on Fox. "This 10-part series dispels the exaggerations and falsehoods which have developed over the years, shedding new light on iconic characters and their stories. Legends & Lies cuts through the myths and brings untold truths to the screen for the first time. From Sam and John Adams to Thomas Jefferson, Benjamin Franklin and George Washington - experience the personal struggles of these iconic characters as they transform a regional conflict into a revolution that will define the Unites States of America and change the entire history of the world." James McHenry was a signer of the United States Constitution from Maryland and the is the namesake of Fort McHenry. During the Revolutionary War, McHenry served as a military surgeon. He was a delegate to the Continental Congress from Maryland (1783-1786), and the third United States Secretary of War (1796–1800), under the first and second presidents, George Washington,and John Adams. Responsibility for our Religious Freedoms came through the actions of our Founding Fathers. While much of our attention has been put on the Statute of Religious Freedoms passed in Virginia, little of the actual events leading up to its passage have been discussed. Leading the fight "in the trenches" was Patrick Henry. His defense of religious dissenters in Caroline, Chesterfield and other counties help shape popular opinion so that the Statute could be passed. In Colonial Virginia there was but one established, government-supported religion – the Church of England. All Virginians, like it or not, were compelled to tithe, or contribute to its support. Various Acts of Toleration had been passed but were not universally enforced or consistently interpreted. With the rise of the “New Lights,” those who rejected the established church, religious dissenters began to test the limits of those laws. The first known defense was in 1768 in Spotsylvania County where three preachers faced imprisonment for publicly proclaiming the Gospel at the Upper Spotsylvania Baptist Meeting House. 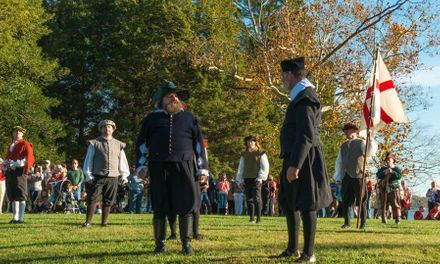 Because the courthouse for Spotsylvania from that time no longer stands, "Freedom’s Apostles," a theatrical reenactment of the trial, is held in the Historic Hanover Courthouse. “Freedom’s Apostles” bring the arguments and passions to life in a way that informs, educates and entertains. Witness Patrick Henry’s inspirational defense of a liberty that we all hold dear. A performance of “Freedom’s Apostles – The Trial of the Spotsylvania Baptists” will be held at 11:00 a.m. on August 6, 2016 at the Historic Hanover County Courthouse. Filming complete for the colonial historical documentary "The Regulators 250"
The phenomenal impact of Dr. Martin Luther King, Jr. is chronicled in this compelling dramatization of the life and times of one of the most influential and charismatic leaders of the American Century. Inspired by the arrest of Rosa Parks, Dr. King puts his philosophy of nonviolent protest to work. He gains recognition and becomes the dominant force in the Civil Rights Movement during its decade of greatest achievement. Length: 1 hour - Suggested for ages 7 and up. On Sunday, January 31 Virginia Rep hosted a panel discussion following the performance. 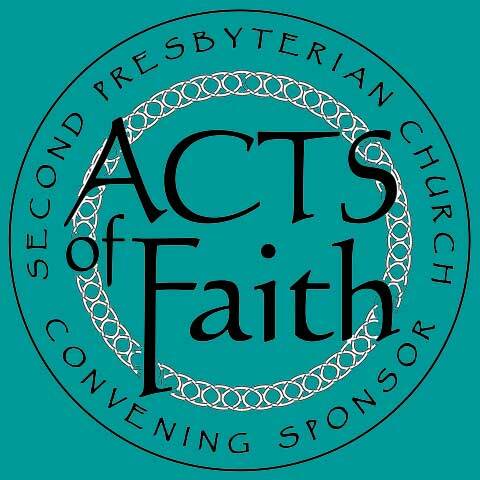 Read more at the Acts of Faith Festival. Lucas portrayed various people including George Wallace. Lucas performed in "Speed Dating" on 7/10/2015 which was directed by Brad Tuggle! Lucas plays Mr. Allenton in the Demon Panthers segment of the program. "Across Southern Illinois, townsfolk arm themselves against a demonic feline predator. A teenage girl tangles with a terrifying doppelganger that attempts to take her place. Two police chopper pilots in air combat with a UFO trying to shoot them down." The Father, or Family Feuds by Denis Diderot and Raymond and Agness, or The Bleeding Nun by Matthew Gregory Lewis. On December 26th, 1811, an excited crowd of theatergoers had packed themselves into the Richmond Theatre to see a double bill of a play and a pantomime. The play was The Father, or Family Feuds, a translation from French comedy by Diderot, about a young nobleman who falls in love with a poor girl. His family threatens to send her to a convent—and much hilarity ensues. The pantomime that followed it was Raymond and Agness, or The Bleeding Nun—a Gothic story of the Bleeding Nun who haunts the castle of Lindberg. On that fateful night, 518 adults and 80 children were enjoying the performance in the Richmond Theatre on Broad Street, when a chandelier in the theatre started a fire. The flames were fed by the hanging drops on the stage and soon roared out of control. The audience panicked and stampeded the doors. 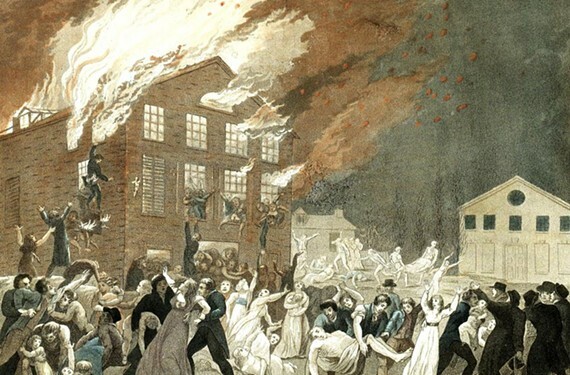 72 died in the fire: 54 women and 18 men, including Governor George William Smith, and former Senator Abraham Venable. It was the worst urban disaster of all time in the country. We will present our reading at the Monumental Church, which was built on the grounds of the theatre as a memorial to commemorate the 72 people who died on the site. Presented on Tuesday, January 20, 2015 at 7pm at Monumental Church. Check out http://henleystreettheatre.org/historical-play-reading-series for details. The Richmond Theatre Critics Circle was established in 2008 with the sole purpose of recognizing excellence in Richmond-area professional theater through the nomination and presentation of an annual awards. It is the hope of the RTCC that this public recognition and celebration will bring more attention to the high calibre of live performance in central Virginia. The annual black-tie event where the RTCC awards — or Artsies — are presented was organized not just as a celebration but as a charitable event with all proceeds benefiting the Theatre Artists Fund. This Fund provides emergency assistance to theater professionals who find themselves in dire financial circumstances, often because of a medical condition. Over the past three years, the annual Artsies events have resulted in several thousand dollars being contributed to the Fund. Richmond Times-dispatch: "'Give Me Liberty' actors put heart into portraying revolutionaries. Based on the bestselling book by E.B. 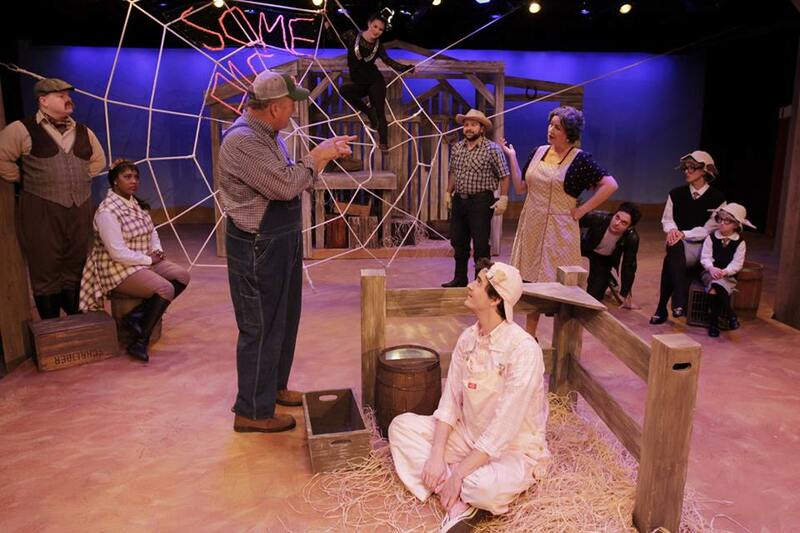 White, Charlotte’s Web tells the story of a rambunctious pig named Wilbur who is desperately trying to avoid the butcher and a friendly spider named Charlotte who uses her web and creative thinking to save him from slaughter. This funny and heartfelt classic will excite young readers as they watch a familiar story come alive on stage and teach them that sometimes it’s the most unlikely friends that prove to be the best. Suggested for ages 5 and up. In addition to playing guitar and singing, Lucas is played the role of Lurvy. 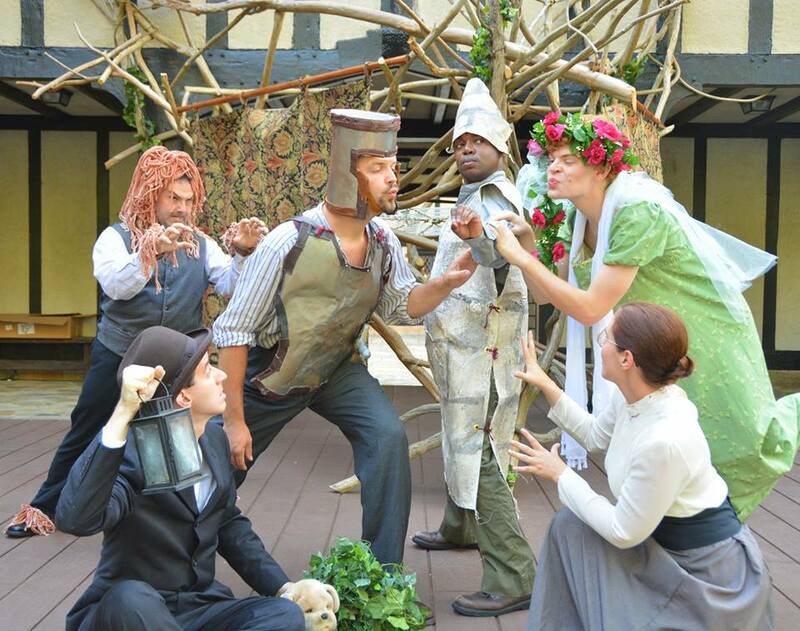 This was the first show in the 2014 Richmond Shakespeare Festival at Agecroft Hall: June 12-July 6. TVJerry.com's A Midsummer Night’s Dream (review) says: "This cast is populated with accomplished talent that manages the comic confusion with aplomb. ", "Dixon Cashwell’s frustrated lover is a standout, in addition to The Mechanicals, who provide the show’s most funny moments." and "Director Jan Powell has kept the energy up and liberally sprinkled the farcical, physical comedy that she does so hilariously" (4 out of 5 stars). Only seven public performances! The Saturday, February 1 performance has sold out. This stirring drama with music is a classic tribute to the great American who freed herself and hundreds of her people from the bonds of slavery. As Harriet and her friend Sarah Bradford narrate her adventurous life, we share in the joys, sorrows, and challenges faced by this brave women who changed the world through her courage. 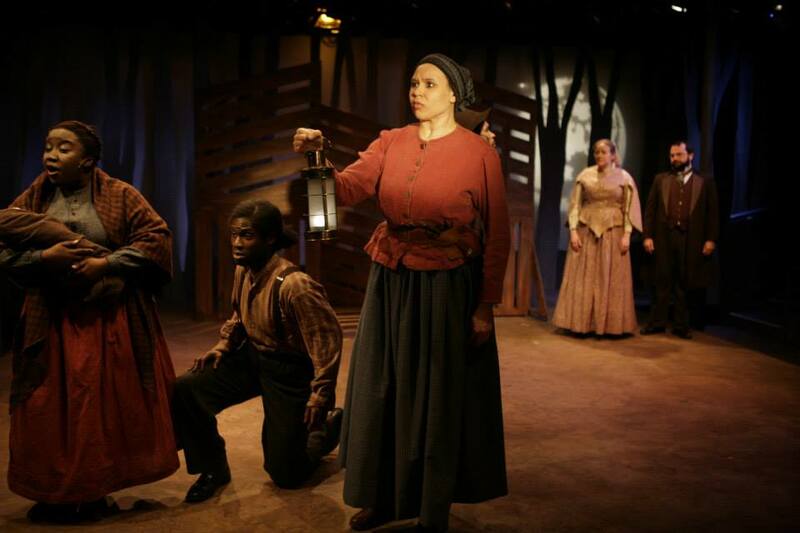 Accurate and deeply moving, Harriet Tubman and the Underground Railroad is at turns inspiring, heart-warming, and comical, full of the good humor, determination and the charity of its subject. Your students will find a new appreciation for Harriet Tubman and a deeper understanding of her times. Suggested for ages 7 and up. There was a talk back immediately following the performance on February 9. Learn more about field trip funding from Target. Lucas played the role of publisher W. J. Moses. Direction by Tom Width, Music Direction by Paul Deiss and Choreography by Dennis Clark. Killing Kennedy premiered on November 10th 2013 on the National Geographic Channel. Lucas played the role of a Dallas Police Officer (Officer Atwell). CLUE - A Holiday WHODONEIT on 12/16/2013 only! Please join your hosts, Jeffrey Cole and Brittany Keegan on Mon, Dec 16th at Richmond Triangle Players for a holiday party and staged reading of the movie Clue with some of your favorite Richmond actors! We are asking everyone to come dressed as their favorite character from the movie! Cocktails start at 6:30pm, followed by the staged reading of the movie CLUE at 7:30! All proceeds will go to Henley Street Theatre & Richmond Shakespeare. 2013 marks the 225th anniversary of the Virginia debates concerning the proposed Constitution for the United States of America. James Madison and Edmund Randolph argue in favor of ratification, while Patrick Henry and George Mason are opposed. George Wythe narrates. The performance will take place on Aug. 10, 2013. Lucas will play the role of George Mason. The performance will be held at the Historic Hanover Courthouse at 11:00 a.m. The performance is free and open to the public. ﻿The Historic Hanover County Courthouse is located on Hanover Courthouse Road (Rt. 301) in Hanover, VA , directly across the street from Hanover Tavern, 13181 Hanover Courthouse Road, Hanover, VA 23069. This was filmed by Dreams Factory for the Mariners Museum. This Mariners’ Museum exhibition explores the aftermath of marine catastrophes through the perspective of those who have been cast adrift on the sea. Immerse yourself in the chaos of sinking ships through a multi-media production. Experience the terror of witnessing a ship breaking apart and sinking... then hear the cries of passengers in a their struggle to survive. Feel the panic and anxiety as you realize you are lost, and alone in the ocean. Lucas plays the role of a ship's captain in the middle of a terrible storm. Cotton Patch Gospel at Hanover Tavern closed April 28! A joyous, musical adaptation of the Gospels of Matthew and John! A gem of musical theater, this reverent adaption of “The Greatest Story Ever Told” transplants the story of Jesus into the mid-20th-century American South and considers what might have happened had Jesus been born in Georgia — with Gainesville standing in for Bethlehem, Valdosta for Nazareth and Atlanta as the fateful Jerusalem. A cast of exuberant actors/singers/musicians takes the audience on a fun, foot-stomping and inspiring journey with plenty of places to laugh and cry. Cast/Musicians included H. Drew Perkins, Eric Williams, Chris Stewart, Lucas Hall, Brian Sulser, Mike Moore, Corey Wells, Jim Wark, Dennis Elliot, Greg Debrune and Jim Skelding! Go to http://va-rep.org/show_cotton_patch.html for more information. The ShowBizRadio.com Theatre Review by Bruce Levy: "Stewart is kind of a southern Matthew Broderick in displaying charm and likeability as Jesus. ", "a perfect setting for this show". "The band gives a great performance ans is adept vocally and instrumentally", "They are at all times energetic and entertaining." and "The story is novel, and Chapin's music is catchy. Cotton Patch Gospel is a hand-clapping, foot-tapping good ol' time." 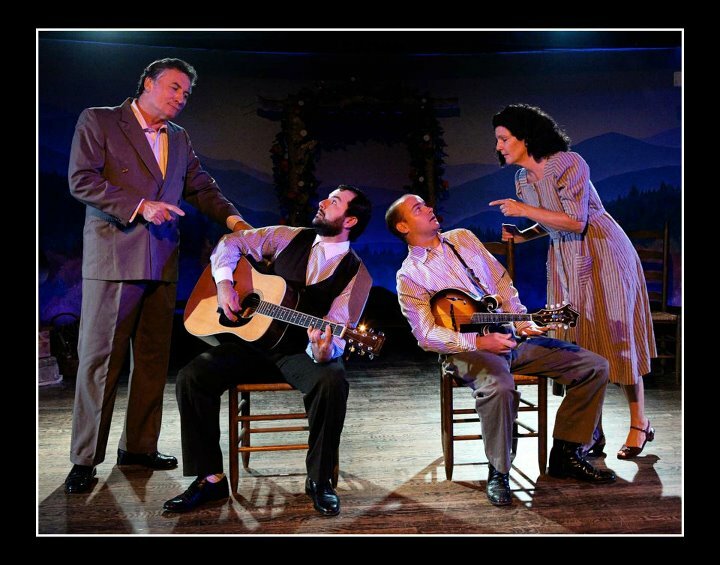 Style Weekly Theatre Review by Rich Griset: "cast members are uniformly energetic and amusing", "Perhaps the show's strongest element is its score, written by folk-rock singer and songwriter Harry Chapin. Numbers such as "Are We Ready?" and "We're Gonna Love It While It Lasts" are just as catchy as some of Chapin's better-known work." & "an entertaining and engaging retelling of the story of Jesus"
Ghost Light After Party at Richmond Triangle Players 4/7/2013! 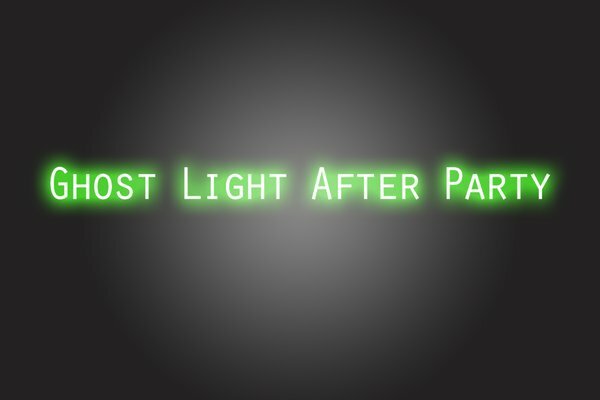 Ghost Light After Party this Sunday, April 7th! The snow has passed, the sun is out and we're ready to do some make-up partying!! We're going Back to Basics, bringing "old school" Broadway back while introducing a Richmond newcomer, Kirstin Riegler! We'll put her through the 20 Questions gauntlet, and make her a musical theatre Mad Lib none of us will forget! Come dressed as your favorite classic show tune crooner or Broadway character and bring your favorite "old school" show tunes to sing, sing, sing! Doors open at 8:30 and our Mistress of the Keys, Sandy Dacus, will take the stage shortly after 9:00 for open mic hysteria! Evan Nasteff will be back behind the bar with Savita so prepare to get your drank on. Tickets were $5, and all proceeds are put toward the production of new theatrical works and outreach programs in RVA. 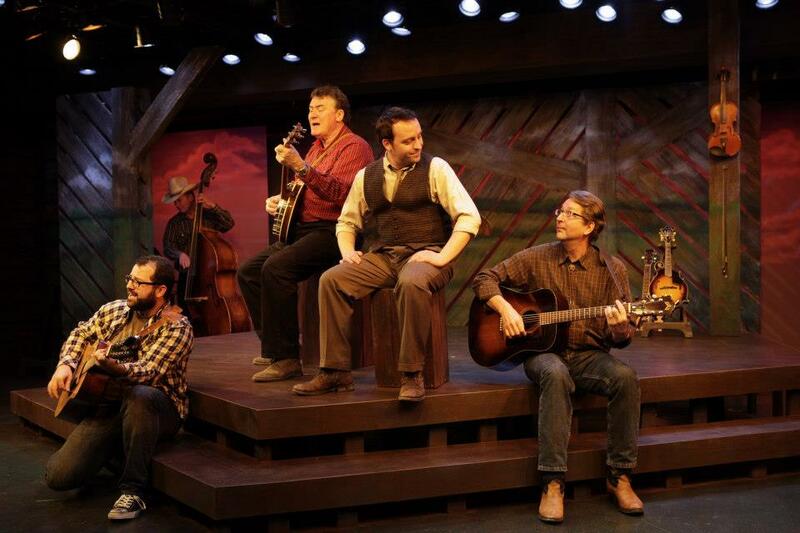 Here's a fun blog post about the night": "Three guys in jeans, members of Hanover Tavern's production of "Cotton Patch Gospel" came up with upright bass, guitar and their voices. Their first song went off flawlessly"
Killing Lincoln premiered on National Geographic 2/17/2013! April 14, 1865. One gunshot. One assassin hell-bent on killing “a tyrant,” as he charged — the 16th president of the United States. And in one moment, our nation was forever changed. This is the most dramatic and resonant crime in American history: the true story of the killing of Abraham Lincoln. National Geographic Channel's first-ever docudrama, Killing Lincoln, combines re-creations with historical insight in a thrilling chronicle of the final days of President Lincoln. 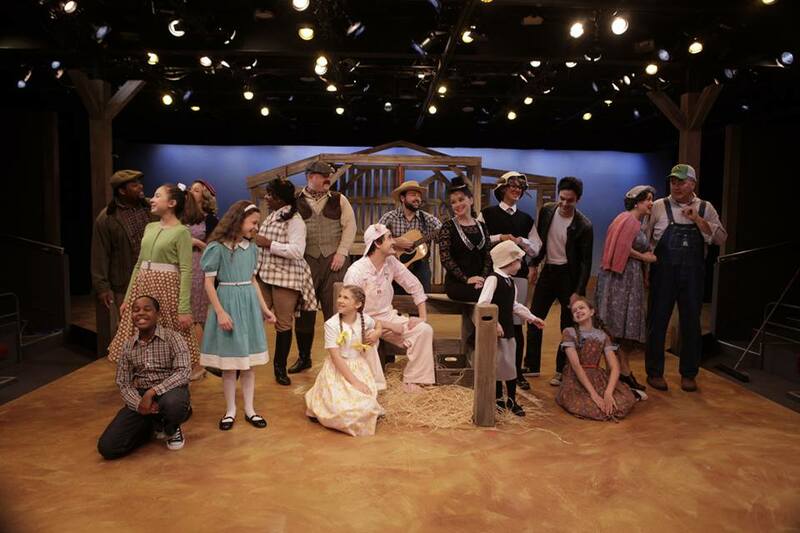 Our Town was written by American playwright Thornton Wilder in 1937. While set in a simple way, Our Town packs a powerful punch. Wilder won the Pulitzer Prize for Drama for Our Town. "What an exciting evening for the actors, audience and friends of Sycamore Rouge", "thoughtful interpretation and production of Our Town" and "Take the time to see this heart-warming production" - Progress Index theatre review entitled "'Our Town' lights up Old Towne"
Featuring the talents of Alex Wiles, Aly Wepplo, Kimberly Jones Clark, Kevin Grants, Jim Barbour and Lucas Hall! The Virginia Capitol Foundation, in partnership with Tim Reid & New Millennium Studios, produced this orientation film titled "Keepers of the Flame" which premiered October 25, 2012. The film is available for viewing seven days a week during regular state capital tour hours. Lucas played Carter Braxton, a delegate to the 2nd Virginia convention of 1775, at the convention where Patrick Henry gave his famous "Give me Liberty or Give me Death!" speech. Spirit rapping, ghostly instruments, and other attempts at communion with the dead were once common occurrences in American parlors. People from every social strata attended séances where mediums purported to be in contact with departed spirits. During the Civil War thousands desperate to contact fallen loved ones enlisted the aid of a medium. What would they have experienced at one of these sittings? The story centers on Mr. and Mrs. Nelson as they seek to communicate to their son who lost his life during the Civil War. Featured talents included Becca Muhleman, Stacie Rearden Hall, John Maddox and Lucas Hall! 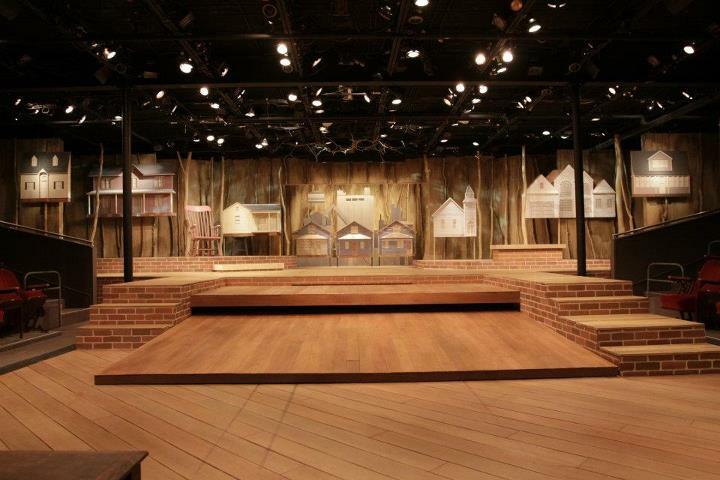 Evening performances took place at the The American Civil War Center at Tredegar - Oct 30 through Nov 2. September 14th at 8:00 p.m. Sycamore Rouge presented Surprise Shakespeare! . Actors (of which Lucas was one) learned what play would be performed at 6 p.m., made their notes, chose their costumes, and the play was on at 8 p.m.! Surprise Shakespeare! was a pay-what-you-will FUNdraiser and all proceeds went directly to Sycamore Rouge! This featured the talents of Kerry McGee, Nicholas Aliff, Adam Mincks, Noah Downs, Alex Wiles, Grace Mincks, Tarnee' Hudson, Durron Tyre, Thomas Nowlin, Lucas Hall, Kellita Wooten, Doug Jones, Ali Thibodeau, and Eric Dobbs. July 18 and 19 at 8:00 p.m. at Sycamore Rouge presented William Goldman’s screenplay and brought this masterpiece-turned-cult-classic to life through a special agreement with Princess Bride Ltd.
What’s more, both performances were PAY-”AS-YOU-WISH”-and all proceeds went directly to Sycamore Rouge! 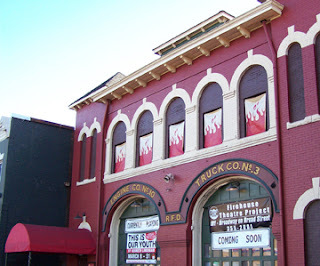 The 48 Hour Film Project comes back to Richmond on the weekend of July 13 - 15, 2012. Filmmakers from all over the Richmond area will compete to see who can make the best short film in only 48 hours. 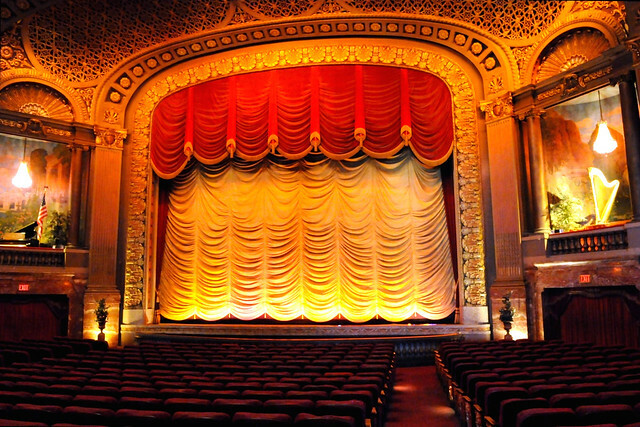 The winning film will go up against films from around the world. Every Synonym of Beautiful was performed at 2pm on July 7th. Lucas and Stacie both performed in Every Synonym of Beautiful. Written by Elke Thoms. Direction by Adrian Rieder. Jason Marks, Dean Knight and Rebecca Muhleman are also in the cast! The GayRVA.com review by Jennifer Maciulewicz says "“Scorched Earth” is packed with suspense and will give you chills", "this play is captivating from beginning to end with several “I didn’t see that coming” moments." and "The male leads were exceptionally strong"
The Richmond.com review by Liz Jewett says "The play is entertaining and well-acted. ", " incredibly compelling", "stellar performances", "the writing is often wonderful" and "Steve Perigard’s direction is solid"
suspense-filled, compassionate thriller for the stage. A rural Virginia community is torn apart when the tiny body of a stillborn, mixed-race baby is exhumed from the graveyard, and the neighboring church is burned to the ground. Suggested for ages 14+. Lucas performed the role of Mr. Sipe. On April 6, 2012 at 7:00 p.m. at the Main Public Library Friends of Richmond Public Library hosted David Robbins for the Richmond Writers Forum. On April 21, 2012 from 1:00 p.m.-5:00 p.m. there was a Matinee and Behind the Scenes Workshop for area high school students. Your donations were the key to my freedom! Be proud of the fact that together we're providing help and hope to kids and adults served by MDA in our community. Thanks for making a (tax deductible) difference! Henley Street Theatre Company's critically acclaimed production of "The Liar" closed April 28! 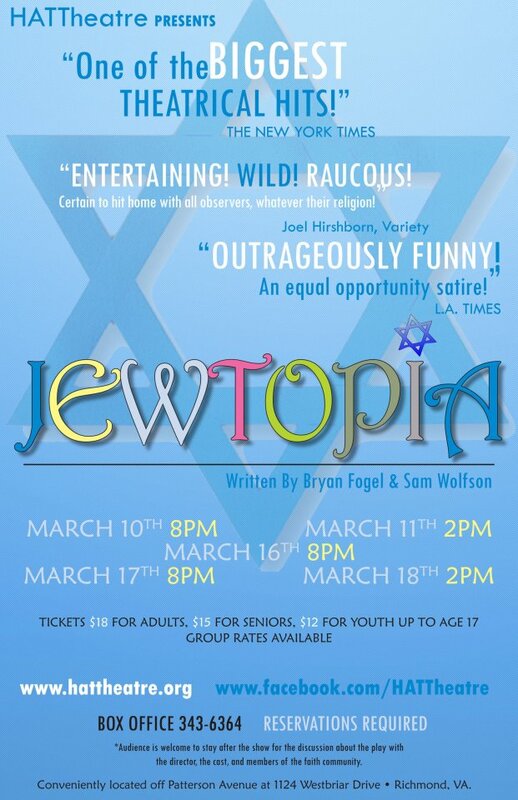 Jewtopia at HATTheatre closed March 18th. Lucas played the role of Chris O'Connell in HATTheatre's production of Jewtopia. 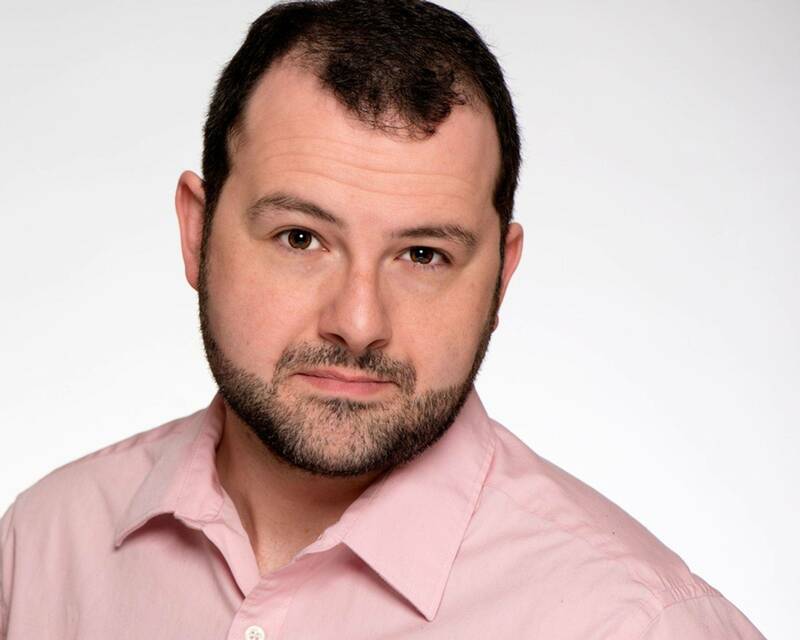 The ever talented Chris Hester played the role of Adam Lipschitz. Direction by Vickie Scallion. Also featured Stan Baranowski, Liz Herlich, Michael Dunn, Crystal Oakley, Sarah Robins, Natasha Liu, and Nicole Fratkin! Richmond Times Dispatch review for Jewtopia: "The lovely, hard-working group of actors Scallion assembles is clearly committed to making these people as real as possible. Chris Hester and Lucas Hall, as Adam and Chris, are both antic and sweet, and extra doses of chuckle-worthy yiddishkeit come from Michael Dunn, as a beleaguered rabbi, and Sarah Robins, who plays all the misbegotten dates. Nicole Fratkin is especially funny as Adam’s furious younger sister. ", "The cast earns kudos for taking their characters seriously and infusing them with heart"
www.GayRVA.com - "This one had the entire audience laughing"
JEWTOPIA, written by Bryan Fogel and Sam Wolfson, tells the story of two 30 year old single men, Chris O’Connell and Adam Lipschitz. Chris, a gentile, wants to marry a Jewish girl so he’ll never have to make another decision. Adam Lipschitz, a Jew, wants to marry a Jewish girl to please his family, but can’t get a date to save his life. After meeting at a Jewish singles mixer, Adam and Chris form a secret pact. Chris promises that he will help Adam find the Jewish girl of his dreams and show him “Jewtopia”, but only if Adam will help Chris shed his gentile-ness and bring him undercover into the Jewish world. Stereotypes collide, cultures clash and chaos ensues! March 10 @ 8:00 - SOLD OUT! March 11 @ 2:00* - SOLD OUT! March 16 & 17 @ 8:00 - SOLD OUT! March 18 @ 2:00 - SOLD OUT! Added performance March 18 @ 6:00 - SOLD OUT! *The audience stayed after the show for the The Acts of Faith Festival discussion about the play with the director, the cast, and members of the faith community immediately following the performance on 3/11/2012. 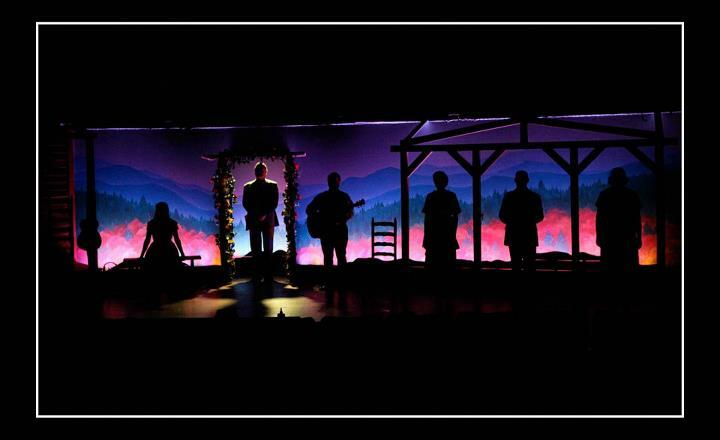 The songs & story of the original Carter family, told against the backdrop of their Virginia roots and the love story that made country music famous. A.P. Carter, Maybelle Carter, Sara Carter, Janette Carter, Ezra 'Eck' Carter, Joe Carter & Ralph Peer are brought to life in this telling look at their lives and music – music that defined their time and their way of life: "Will The Circle Be Unbroken," "Wildwood Flower," "My Clinch Mountain Home," and so many more. 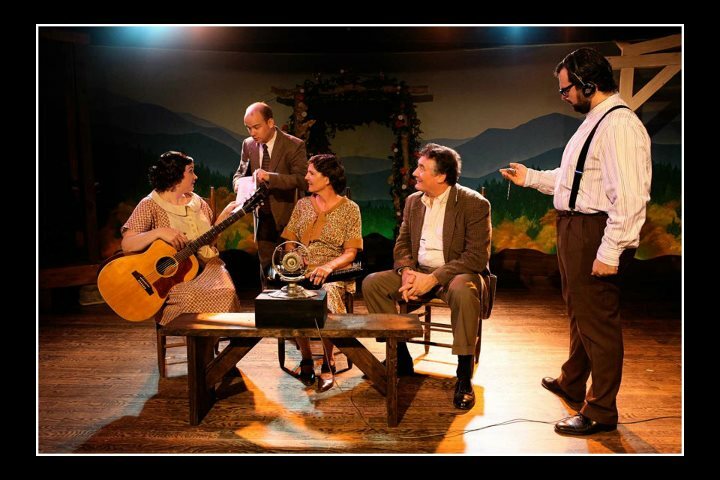 Progress-Index review entitled "'Sunny Side' up at Swift Creek" says - "the production received a well deserved standing ovation. ", "Country music lovers will adore it, and everyone will enjoy the story. ", "Lucas Hall is amusing and convincing". click here to read the full review. Lucas played the roles of Ezra Carter, Joe Carter and Dr. Brinkley. "The Tempest" was directed by Andrew Hamm and produced by Liz Blake White. see www.RichmondShakespeare.com for more information. Lucas played the roles of Panthino, the Host and Outlaw #3. 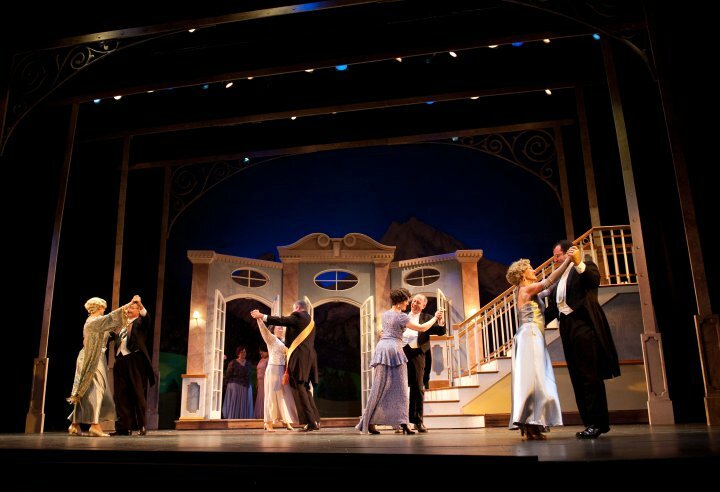 Richmond.com review by Liz Jewett - "The cast and crew did an excellent job" & "it’s so delightful"
GayRVA.com review by Matthew Miller - "Two Gentlemen of Verona will surely satisfy"
Lucas played a small role in commercial for Broadway at the Empire: Dirty Rotten Scoundrels which aired on WWBT NBC 12 in Richmond. 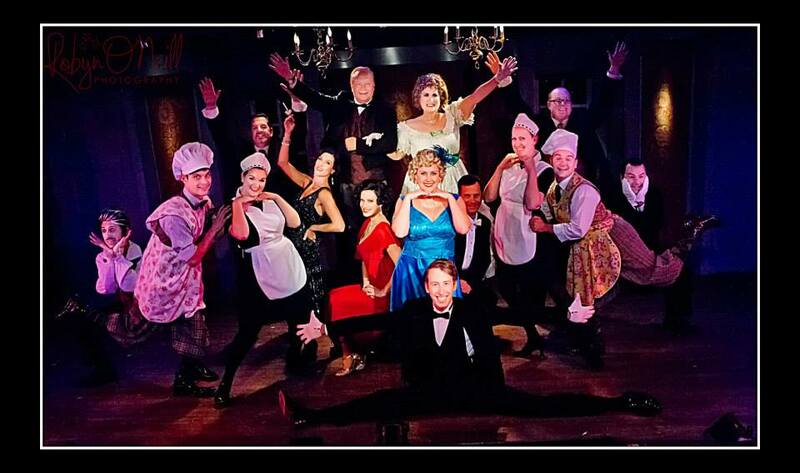 Dirty Rotten Scoundrels closed August 7th at the Empire Theatre. In response to the death of friends in the theater community, two local actors, Terry Menefee Gau and H Lynn Smith, have banded together to produce PIRATES OF THE CHEMOTHERAPY in honor of those friends who have lost their battle with cancer and to benefit the VCU Massey Cancer Center. Written by Paul Schutte the play tries to raise awareness of the importance of early detection without being preachy. It uses comedy to get people to lower their guard. Ms Gau and Smith recruited a crew of like minded women to direct, act, and design the show. In addition to themselves and Director Becki Jones, the cast includes such Richmond luminaries as Stacie Rearden Hall, Kellita Wooten and Kathy Northrop Parker. Sponsored by North Chamberlayne Civic Association in association with Chamberlayne Actors Theatre performances were presented at the North Chamberlayne Civic Association Community Center at 319 North Wilkinson Avenue, Richmond, VA on June 23, 24, 25, 30, and July 1, 2, 7, 8, and 9. All performances at 8:00 p.m. and the doors will open at 7:15 p.m.Tickets are $20.00 each. Net proceeds will benefit the VCU Massey Cancer Center. CALL 804-551-9392 or email [email protected] for reservations. "Who's the stiff?" produced by Made in Virginia Productions and filmed by Reel Works Media. On 10/31/10 filming was completed for a short titled "Who's the stiff?" produced by Made in Virginia Productions and filmed by Reel Works Media. 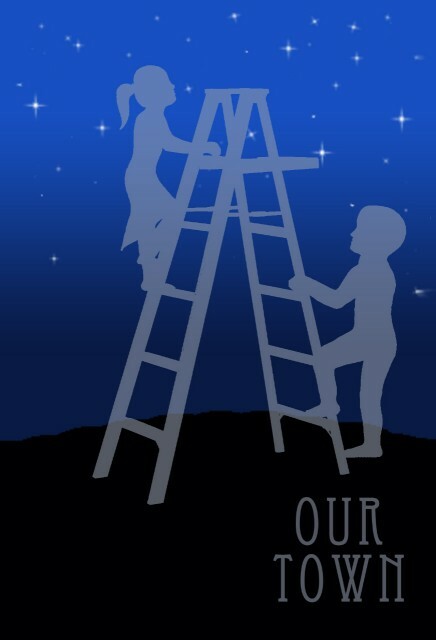 The plan is for this short to be shown at a few area film festivals. More details to follow. Richmond Shakespeare presented live music by James Wingo and a delightful performance directed by Stacie Rearden Hall. Featured Scott Wichmann as Tartuffe, Frank Creasy, Terry Gau, Alex Wiles, Andrew P. Ballard, Cynde Liffick, Andrew Boothby, David Janosik, Laurel Maughan, and Jack Schultz! The second installment of RS's 2nd Tuesdays Series, Molière's Tartuffe revealed how a religious hypocrite almost succeeds in his plot to jail his trusting friend and his friend's family and cheat them out of their home. The social comedy, which satirizes false piety, hypocrites, and aspects of the Catholic Church, was banned until Molière used his influence with King Louis XIV to get permission for the play to be publicly performed. The performance was on November 9 falling in the middle of National French Week, and Richmond Shakes celebrated in the appropriate manner - with wine and biting social commentary! Sunday, June 27 at 2 PM. Lucas was in the ensemble. 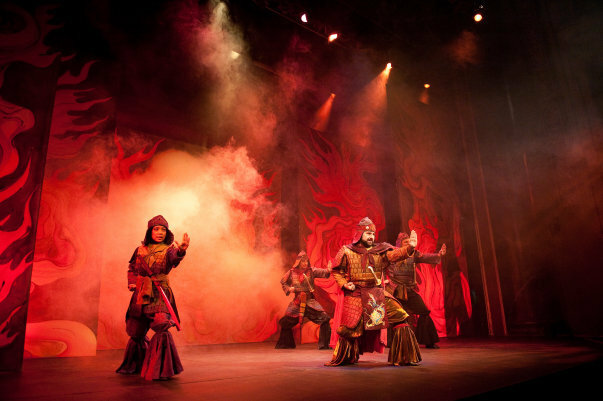 WCVE Theatre Critic John Porter - "some of the finest talent the city has to offer", "make it a point to head out to the West End and enjoy Awaken The Spirit. I did, and I am glad of it." Lucas played the role of Commander Cai. The Free Lance-Star in Fredericksburg writes "In Richmond, a powerful production of prodigious prowess perfect for parents and their progeny"
National Geographic Channel: Explorer "Twins from Brazil"
Lucas composed the music for the Christmas song in this production. The 2009 Awards were held at the Empire Theatre. Over 500 people came out to support Richmond's professional theatre companies, their favorite theatre professionals and enjoyed a fun-filled evening of live performances. Congratulations to Stacie Rearden Hall and the cast of Richmond Shakespeare's "Mid Summer Nights Dream" who won the award for "Best Ensemble"
Interview with examiner.com 09/12/2009 - "Much ado about Lucas Hall"
Click here for an interview with Caroline Sumner entitled "Much ado about Lucas Hall"
Stacie Rearden Hall performed in the Richmond CenterStage Grand Opening! The Richmond CenterStage Grand Opening took place at the newly renovated and restored Carpenter Theatre at 600 E. Grace St.
For the Grand Opening, nine performing arts groups from Richmond took the stage together for the first time. These groups included: Barksdale Theatre, Theatre IV, Richmond Shakespeare, the Richmond Symphony and S.P.A.R.C. On Saturday, April 25 2009, Lucas played William Shakespeare himself for Agecroft Hall and Richmond Shakespeare in celebration of Shakespeare's 445th birthday! 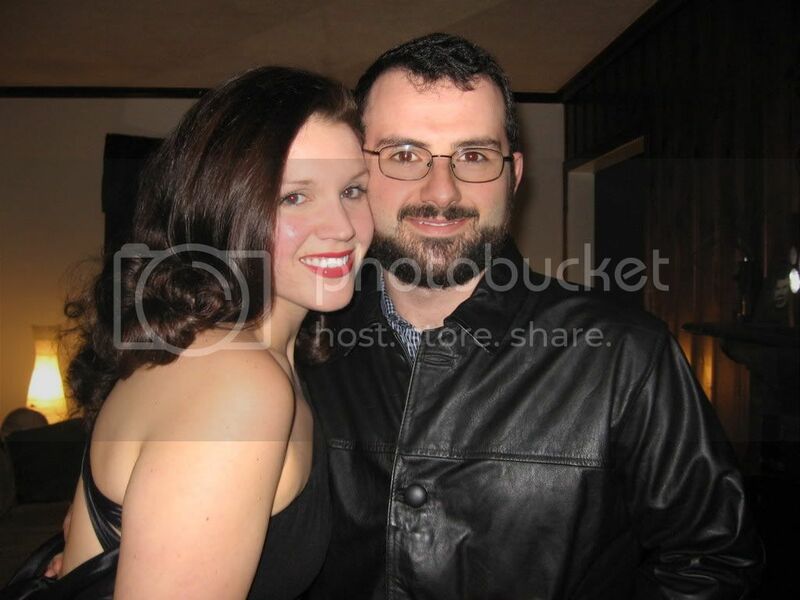 Lucas and Stacie were married on January 17th 2009! The 3rd Annual Richmond Theatre Critics Circle Awards were held at the Empire Theatre on October 17, 2010. Lucas was in The Sound of Music, which won for Best Musical and Song of Mulan, which was nominated for Best Locally-Developed Work! Stacie was in Full Plate Collection which won for Best Locally-Developed Work! Proceeds went to support the Richmond Theatre Artists Fund, a fund established by the Richmond Alliance of Professional Theatres to help those in the Richmond theatre community who fall on hard of times due to illness, injury, or extenuating circumstances.